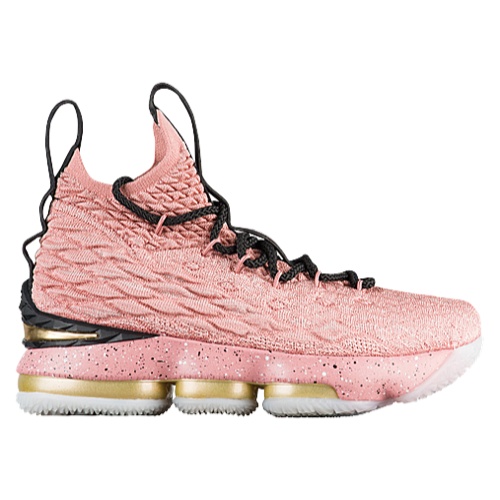 The LeBron 15 offers premium innovation that's built specifically for the game's best player. 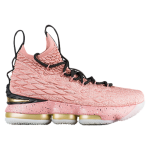 LeBron's game is continually evolving, so this shoe features the next generation of lightweight textile construction and an advanced cushioning system, both of which are designed to fit the exact needs of the greatest player in the world. Simply put, this basketball shoe is fit for a king. Will you rule the court? Engineered upper offers strategic stretch, advanced lockdown, and durability. Max Air and Zoom Air units combine to create a fully articulated cushioning system. Full-bootie construction creates a secure fit. Injected Phylon foam midsole provides a lightweight feel and resilient cushioning with every step. Full-length rubber outsole provides durable traction on a variety of surfaces. Flex grooves in the forefoot offer flexibility.